We often talk about how important it is to fix potential car problems as they present themselves, rather than letting them fester and become major issues. We see examples of this every day. At Milex Complete Auto Care/Mr. Transmission we want to educate our customers about the proper care for their vehicle. 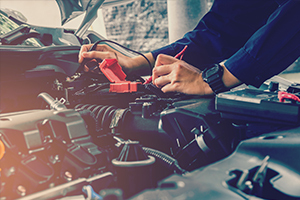 Nobody likes having to spend $1,000 on car repairs when, if they had just come in two months earlier after the car first started acting strangely, that same bill might have been $100 or less. Reality is, if your vehicle is indicating a minor problem it doesn’t fix itself or remain minor. It usually gets worse. Obviously, it isn’t feasible for anyone to get their car examined by a mechanic every day, and it isn’t necessary. You may or may not know much about cars, but if you know what to look and listen for, you can prevent a lot of potential problems. All you need to do is look and listen for anything strange or unusual that your car seems to be doing. Here are three commonly ignored issues that often are often are minor issues, if fixed quickly. Your check engine light comes on. This is a yellow light that you will see on your dash and it looks like an little engine. In general, a yellow light on your dash is something you want to have looked at right away. A Check Engine Light can indicate numerous issues, and, yes, it could be something major. But it also might something simple as a loose or worn out gas cap. It also might be something a little more serious like your spark plugs need to be replaced. For most cars that’s a inexpensive fix. But if you ignore the light, and thus leave those faulty spark plugs in the engine, eventually you could damage the catalytic converter of the car (a more expensive repair than spark plugs) Then when the catalytic converter gets clogged up and stops working (it reduces the carbon emissions coming out of your car) that can lead to the destruction of your engine. You find leaking fluids on the ground. If you find drips in the garage or on the driveway you need to have your vehicle inspected right away. Leaks can indicate a wide variety of issues ranging from serious issues or something minor. As you can imagine, we can’t know if something is major or minor until we look under the hood. If you see water dripping from under your car, especially during the warmer months, it’s probably condensation from the air conditioning and nothing to be concerned about at all. On the other hand, if you see darker drips on the driveway or parking lot, it could be oil or transmission fluid dripping, and you should get it checked out. Fortunately, that too, maybe be nothing serious – perhaps your oil pan or valve cover gasket needs to be replaced. That generally isn’t too costly. The problem could also be a seal that needs to be replaced. Don’t be misled by an issue which may be an inexpensive fix. If the oil continues leaking, and you do nothing about it, it could lead to low fluid level in your engine or transmission which would cause serious damage. In extreme cases your engine could catch on fire. You hear a weird sound. Knowing how your car normally sounds will help you notice when it is making a new weird sound. When you first notice the sound, pay attention to when and what is going on when the sound is made. For example, the sound is most pronounced when first starting it in the morning or it doesn’t make the sound until the car is up to operating temperature. The sound occurs only when I am backing up. If your car has a chirping or squealing noise, that may just be a problem with your serpentine belt. That’s an easy, inexpensive fix. The longer you wait to fix a problem with the serpentine belt, the greater chance it will eventually break. The serpentine belt drives the power steering pump, water pump, alternator and/or air conditioning. When your serpentine belt brakes you will lose the power steering which will make the car very hard to steer. Worse the water pump stops pumping fluid through the radiator and will cause the engine to quickly over heat. A whole host of problems can come from not doing anything about a fraying or broken serpentine belt. Use your senses to identify problems early. Listen, look, smell and/or feel issues with your vehicle. The when you notice a new noise, smell or leak be ready to have it check out right away. More often than not, you’ll be glad you did, because you’ll save yourself money and grief. Pay attention to your car and chances are, you won’t pay for it later.